On Sunday April 21, the CiF sports department and Grup Esportiu Espalmador will put on the sixth De far a far. Walkers will hit the road at 9.00am at the es Cap lighthouse and participants in the footrace set out from the same point two hours later. Both will cut a 26K path to the lighthouse in la Mola. Shuttle buses will take participants to the starting point. Walkers can catch the bus at 7.45am in la Savina port, at 8.00am at Poliesportiu Antoni Blanc and 8.15am at the crossroads of the es Cap and Cala Saona roads. Bus service for runners begins in la Savina at 9.45am and makes stops at the fitness centre and the es Cap/Cala Saona crossroads at 10.00am and 10.15am. Online signups are open until Friday April 19 on elitechip.net, or up to an hour before the start times at the elitechip table at the starting points. The footrace costs €20 and the walk €15. The final three kilometres of es Cap road will be closed to vehicle traffic from 9.00am to 9.30am and 11.00am to 11.30am. No other roads will be closed because the rest of the route plays out on side streets and dirt roads. De far a far is part of the Council's programme of events to attract visitors at the beginning and end of the traditional summer season, and this year is included in Holy Week celebrations. 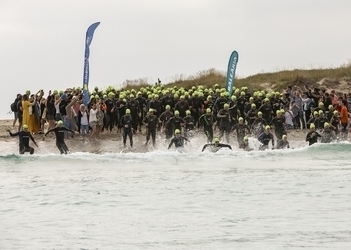 The sport department of the Formentera Council reports that the Formentera Marnaton will take place May 15 to 18. 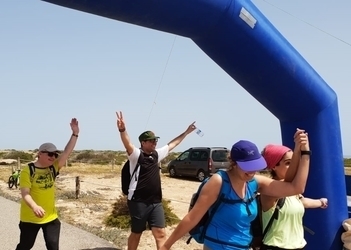 Also taking place over the same period is Raid Formentera, a three part trial with circuits of up to 17 kilometres, and, on May 18, the third Travessia de Formentera, including 4K and 11K circuits. David Campà, the Marnaton's managing director, describes the Marnaton as “a one of a kind fixture in a breathtaking setting” and emphasises the goal, as in years past, “is to protect the local ecosystem”. The Marnaton will once again encompass both the Raid and the standard trial. At the three-day multi-stage event, over the course of which participants crisscross the island covering a total of 6,500 to 17,000 metres, teams of one swimmer and one kayaker will complete three stages selected according to weather conditions. In sync with the final leg of Raid, another trial is set for Saturday May 18 and will see participants covering distances of 4 and 11 kilometres. Attendance at the exclusive event is limited to 300 distance swimmers, the aim once again being to preserve the island's natural environment. Some five hundred are expected to turn out for the events, both of which are included under the umbrella of Discover Formentera in May, a Council-backed push to draw visitors at the start and end of the traditional summer season. The campaign covers the Marnaton as well, an eDreams-sponsored event with versions in Barcelona (May 4), on Formentera (May 18), in Begur (June 9), Sant Feliu de Guíxols (June 29) and Cadaqués (September 14). CiF president Jaume Ferrer met with Juan José Escandell to sign into effect an agreement between the administration and Grup Esportiu Espalmador to support and organise sporting events and support fitness and women in 2019. The object of the deal is to help develop events such as the cycling race Ruta Illa de Formentera, the De Far a Far footrace, the Illa de Formentera mountain-biking cup, Milla Urbana, Pujada a la Mola, “Challenge” and the John Tunks memorial race. As part of the deal, GEE also pledges to implement the “Esport i Dona” programme to promote women's participation in the sports GEE specialises in, like athletics, bike riding and triathlon competition. Under the terms of the agreement, the Council will give GEE up to €12,000. 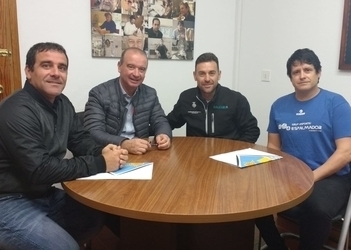 CiF president Jaume Ferrer and the president of Illa de Formentera tennis club, Jorge Jiménez, sat down to make official the administration and the club's partnership agreement for maintenance and use of the Council's tennis and padel courts in 2019. Under the terms of the deal, the Formentera Council allows the tennis club to use, run and maintain the municipal courts on camí de Porto-salè. The administration pledges €11,000 to cover management and maintenance. The club, Club Tennis Illa de Formentera, must facilitate access, use and enjoyment of the space for other organisations, plus other imperatives like assuring the site's regular maintenance and staffing. This evening came with the celebration of Formentera's 2018 Gala de l'Esport (“Sport Gala”), an event where the deeds of individuals, associations, sport clubs and private entities are recognised and honoured for their devotion to sport. -Best sponsoring organisation: Trasmapi. For supporting Formentera's sport entities; helping organise and promote sporting events on the island; offering boundless support for Formentera's sport schools. -Award for trajectory in sport: Juan Zapateria “Zapa”. This distinction answered to one individual's efforts over an entire lifetime, competing and practising sport in an array of fields. For promoting sport on the island; the years of support he has altruistically given to the world of sport. From 1983 to 1987 Zapa served as the local minister of culture and sport. For a career of tireless efforts as athlete, leader and meet organiser. For promoting values like hard work, commitment, participation and respect for others. -Best athlete of the 2018 season: Andrea Romero. The athlete was the 1,500m indoor track national champion. First national ranking for club cross-country. Romero one 41st in Europe's cross-country championship and the top ranking in the Balearics for 3,000 metres. Awards regulations allow “proposal to the jury of certain special distinctions for people whose particular trajectory makes them deserving of honour”. This year, the jury found clear reason to award this special distinction to one local athlete with an exceptionally long career in sailing, still active in competitions and the 2018 winner of World Raceboard Championship, Alex Buchau. The panel of jurors, comprised spokespeople from a range of sports entities and political parties represented on the Council, was presided over by the CiF sport councillor. Administration chair Jaume Ferrer, honorary panel chair, was responsible for picking winners. The award ceremony took place in the evening of Friday February 1.